Cheryl has a BA in Education from Goshen College and taught for ten years in the private and public school sector before becoming involved in camping ministry. She loves being outdoors and thrives on opportunities to lead and teach in the outdoors. Cheryl has over 20 years of experience facilitating groups in team building initiatives. In her free time, she enjoys photography, gardening, wilderness trip camping and exploring the wonders of God's creation. 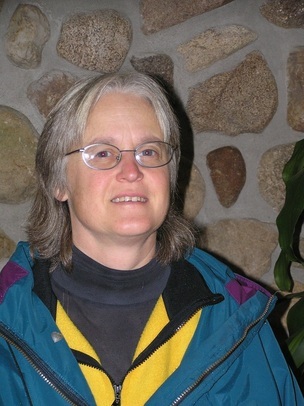 Cheryl has served as Coordinator of Outdoor/Environmental Education at Amigo Centre since 2001. Ron is a retired elementary educator, with 41 years of teaching experience, 39 at Goshen Community Schools, 21 of them working primarily with sixth graders and science. He graduated from Goshen College and Indiana University at South Bend with degrees in elementary education, and an emphasis in earth science. He also is an alumnus of the Amigo camping program, as he attended what was then Camp Amigo in the camp's early years. ​Ron continues to enjoy spending time in the "classroom", as a substitute teacher, and as a part time staff member of the OEE program at Amigo Centre. He enjoys being outside and active. Ron has been a volleyball and basketball official for over 30 years. He also enjoys reading and playing golf. My name is Dave and even though I'm new to this position, I'm far from new to Amigo. I've worked with Amigo Centre on and off throughout the years and it's great to finally be back. I graduated with a degree in Youth Ministry from Spring Arbor University and I've been working with Youth For Christ and a local church since I graduated in 2008. Working at Amigo feels like I've finally come home and I can't wait to see how God will grow myself and the people around me through this opportunity. O/EE teaching grabbed my attention first in the spring of 2004 and I've been anxious to get back to it ever since. God uses nature to reveal Himself in mysterious ways when His creation is involved. Bob has a BS in Chemistry from Goshen College and taught for 2 years in a private school in Santiago, Chile. After returning to Indiana, he spent 30+ years in the energy conservation (insulation, heating & cooling). He enjoys sharing and exploring the out of doors with kids. He enjoys canoeing, fishing, wood working, gardening, wilderness trip camping and exploring the wonders of God's creation. 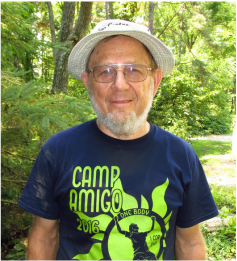 Bob has been on staff at Amigo Centre since 2004.